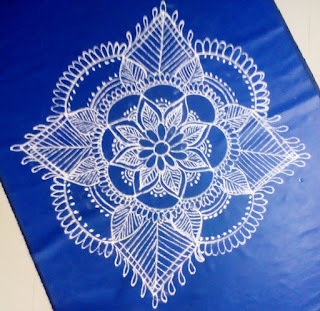 This is Diwali rangoli free hand designs , third in this series.Pl watch the video & try this one. I'm going to cry! How can this beautiful creation be freehand!? i mean come on,so my envy aside i love the pattern you made its very pretty!